3.5	stars -	"Review for BL1840-L Makita 18 v Lithium Battery" Terry Ward This BL1840-L Makita 18 v Lithium Battery is the best Batteries I have tried. Seeming to lag behind for an eternity, Makita has finally launched a 5Ah lithium-ion battery. The battery itself is the BL1850, and as you can see, it looks exactly the same as the 3Ah and 4Ah packs that preceded it. 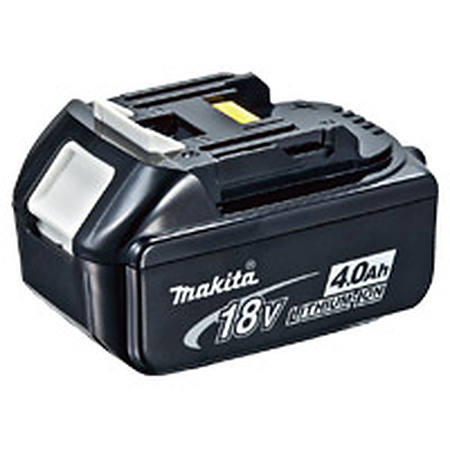 What Size and Weight is the Makita 5Ah Battery? The good news, among may snippets of good news, is that while it holds loads more charge it's the same weight as the 3 and 4Ah batteries, and it retains exactly the same form factor. That means you'll get more charge for your cordless Makita tool without adding any weight or bulk. What Runtime Can I Expect from Makita's 5Ah li-ion Batteries? Clearly any battery that holds more charge should give you longer runtime. And that's the case with these batteries. On a like-for-like basis, the 5Ah will give you 66% more runtime than the 3Ah battery. Quite simply, for those jobs you do over and over again, you'll be able to do even more without putting the battery anywhere near your charger. What's the Charge Time for the Makita 5Ah? Makita, while taking longer to release larger capacity li-ion 18v batteries, has succeeded in keeping the charge times to a minimum. Built into the battery, charger and tool is a smart system that monitors the health of the cells in the battery, meaning that it'll draw charge quickly and efficiently. In real world terms, the 5Ah packs will charge on the standard Makita XR charger in only 45 minutes, putting it ahead of its competitors who offer similar capacity li-ion batteries. What Cordless Makita Tools is the 5Ah Battery Compatible With? We admit, there's been some confusion over this in the past, however, we're happy to clear it up for you once and for all. If your tools has any of these features it'll work with the new 5Ah packs. Simple. 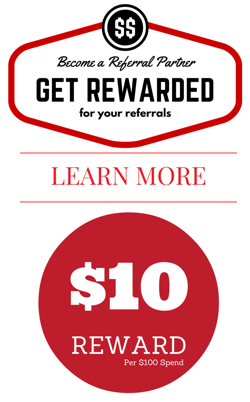 Our infographic helps put all of this into clear terms, click on it below to see it full-size! The launch of the 5Ah 18v LXT packs marks a significant shift for Makita, seeming as they were to be stubbornly relying on 3Ah for the longest time. But now they've joined the 5Ah party we can't wait to hear what you think of them, and how they're positively affecting how you get your work done.